The farm is not the only thing growing at Arden — so is the impressive selection of homes. The “agrihood” on Southern Blvd. in western Palm Beach County has added luxury home builder Kenco Communities to the options available within the 1,200-acre community. Already established with models at Arden are Kennedy Homes LLC, Lennar and Ryan Homes. The new neighborhood designated for Kenco will be located near the clubhouse and amenity center, and feature lots with direct access to the lake. 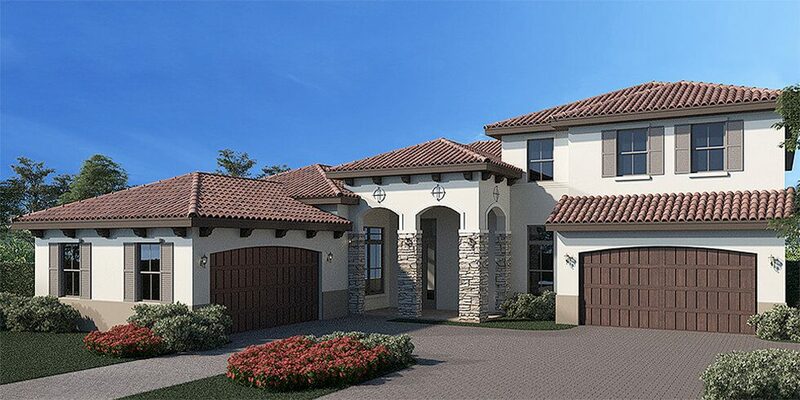 Boca Raton-based Kenco will offer five single and two-story models at Arden in three architectural styles: Spanish Coastal, Coastal Collage and Farmhouse. All homes will sit on 80-foot lots — the largest in the community — and back up to the lake with the option to have a private dock. The four- to six-bedroom homes will range in size from 4,000 to 5,600 square feet and be priced from $540,000 to $1 million. Kenco plans to have model homes open at Arden by early August. Arden will eventually have 2,000 homes, the majority of which will back up to community green space, including parks, playfields, greenways, nature trails or lakes. The scenic property features 20 miles of walking and biking trails; 175 acres of lakes for fishing, kayaking or canoeing; and an expansive great lawn for events. Arden is the only master-planned community in South Florida and among the first in the state to feature a farm as a central component of community life. The five-acre parcel will produce fruits, vegetables and herbs under the guidance of two farm directors, and feature an event barn where residents can gather for seasonal themed classes, harvest experiences and more. The heart of recreational activity at Arden will be the spacious, two-story clubhouse, complete with a resort-style pool that flows over two levels. Freehold Communities is the visionary development team behind Arden and is currently developing more than 10,000 residential lots in Texas, Tennessee, North Carolina, California and Florida. Arden is located at 19425 Southern Blvd., west of the new Palm Beach State College campus and Publix shopping center. For more information about the community, its builders or to sign up for the Founders’ Club here.